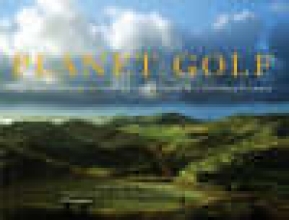 A comprehensive, fabulously illustrated guide to the greatest golf courses outside the United States, "Planet Golf" is a breathtaking tour through more than 130 courses in 20 countries. Covering both design and history, commentaries by author Darius E. Oliver and by leading course designers and players such as Greg Norman, Pete Dye, Tom Fazio and others are sure to generate clubhouse discussion. Greg Norman contributes the Foreword.